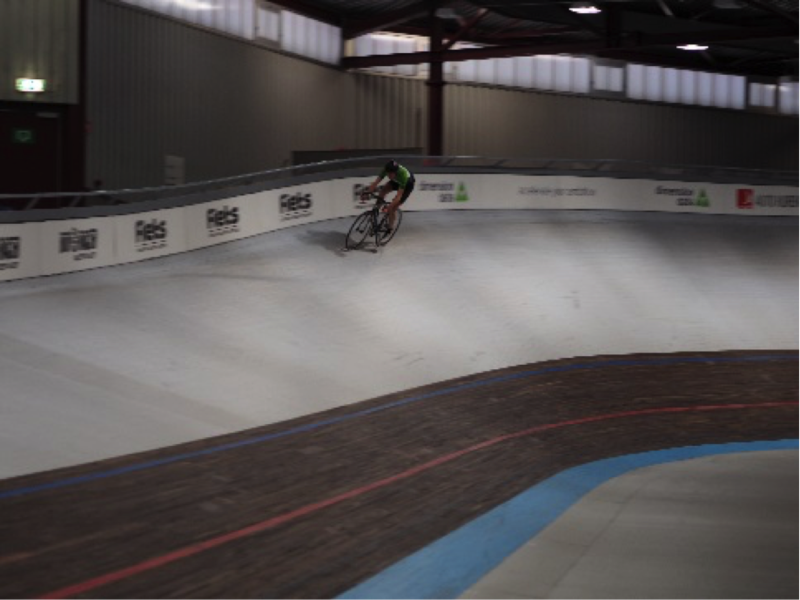 On March 16 our second Hellingproof track day took Place. 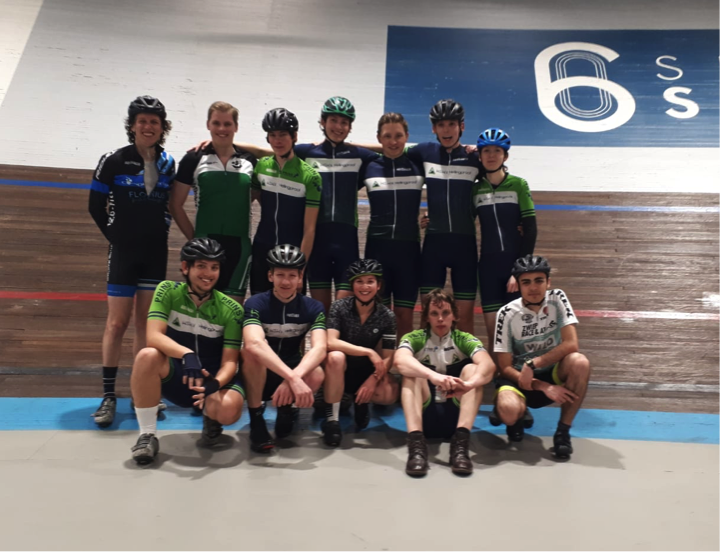 A nice presence of no less than 12 Hellingprofs arrived at the Velodrome In Amsterdam, all in time, Alger too, despite the fact that public transportation in the big city can be a bit complicated for a Frisian country boy. Bas, Alger and Luuk were present last year, but for the others it was their first time at the track. After picking a bike, choosing the right saddle height and some problems whit the clamps of the seat post we were ready to go. Also this year the father of chairman Bas Overdevest was the instructor of the day. 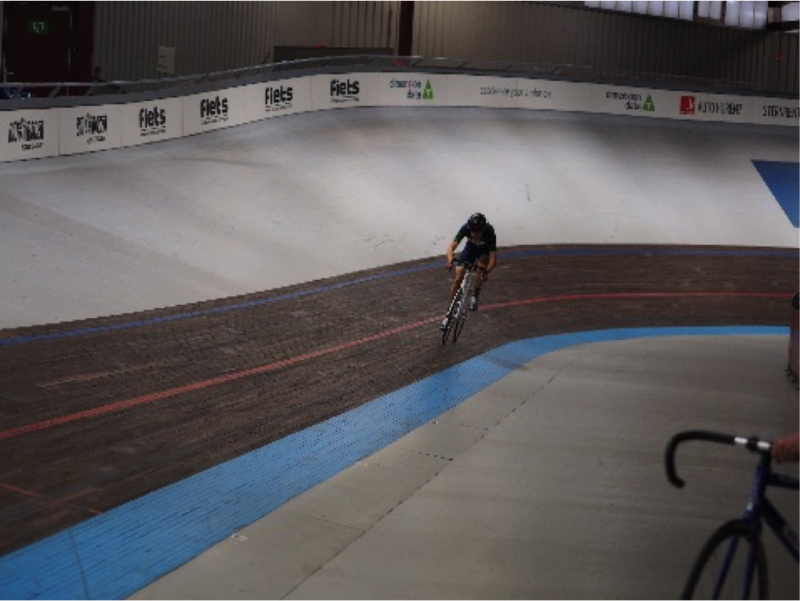 After a safety briefing the first assignment was to ride a hole lap at the wooden hill of the track. However this year nobody had a Rutgertje. After most of us rode some laps and experienced the steep corners it was time for a real exercises. Riding line in line on a constant speed, every whistle the first person had to be at the finish line. For some, too enthusiastic Hellingprofs this was despite it sounds easy a big challenge. Of course this year we had our Hellingproof Sprint tournament! 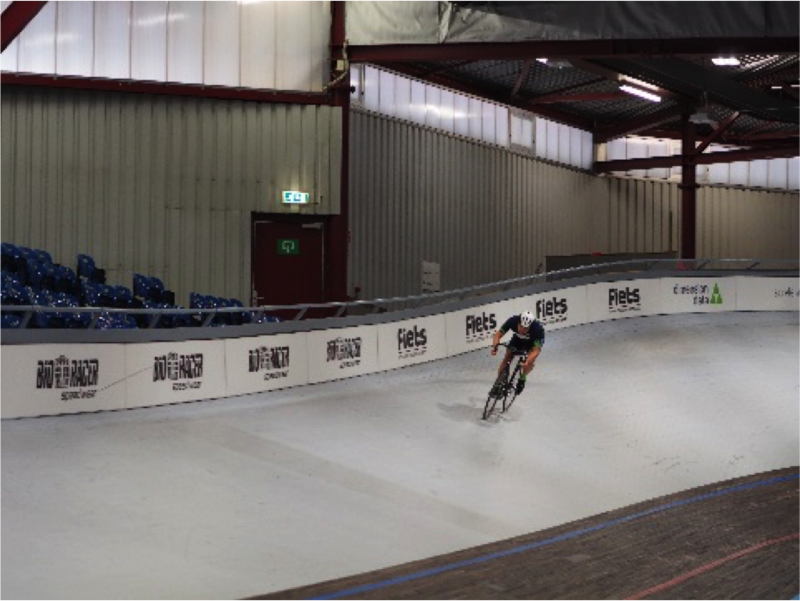 The Hellingproof sprint tournament consisted of a 200 meters flying lap. Beforehand everyone was told that it would be very difficult to hold the shortest black line, because of all the forces. And it was, if you think we make a joke, just ask Tjalle. After a short instruction from the Hellingrproof chairman himself about the perfect lines to come to the highest speed it was time for action. That’s nicely against the shortest black line! It was a day in which a lot of Hellingprofs could experience a whole new discipline of cycling. We all updated our bike skills for coming student cup races. After the good workout, it was time for some drinks and share some new insights.